1.The basket is durable and elegant in structure,easy to use with good quality. 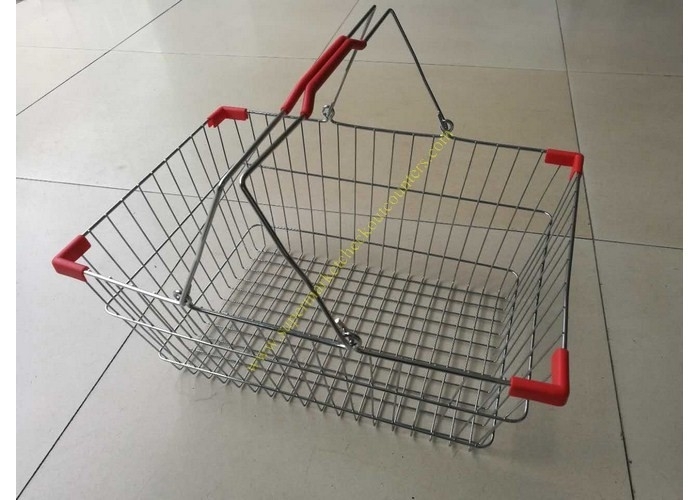 2.The durable and strong structure can make shopping easy and flexible. 3. Robust constructure of steel & plastic. 1) Custom's logo could be printed . 2) Different sizes , type , treatment could made according to custom's need . 3) Colour could be made according to custom's option .